When I decided to remove my ponds a few years back, I kept one lined and turned it into a small bog garden. 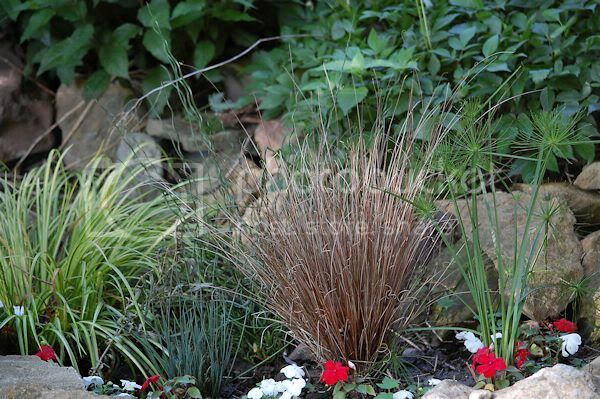 Plants include corkscrew rush, blue rush, impatiens, and fox red curly sedge. 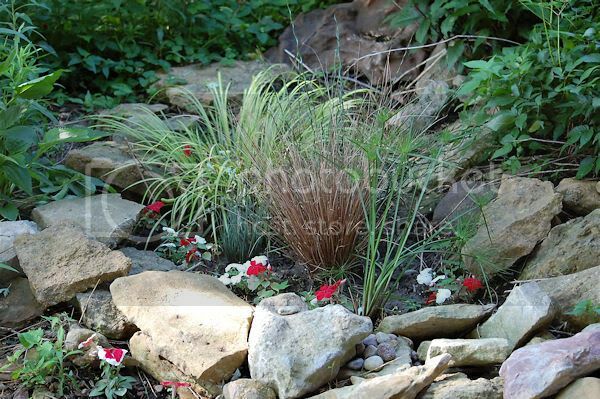 Very nice selection of plants! I love Impatiens, a "must have" in my gardens every year. Beautiful! An interesting collection of plants! What a lovely little area.